Retro sneakers for the next generation. 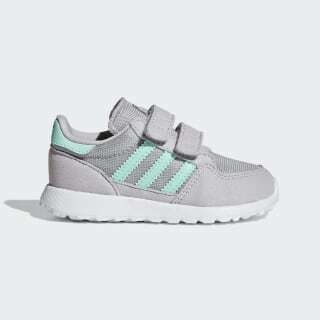 Inspired by a game-changing running shoe from 1982 called the Oregon, these toddlers' sneakers bring the best of retro track style to the newest member of the family. A faux suede upper with hook-and-loop closures offers easy on and off, and the EVA sole feels soft and comfy on little feet.